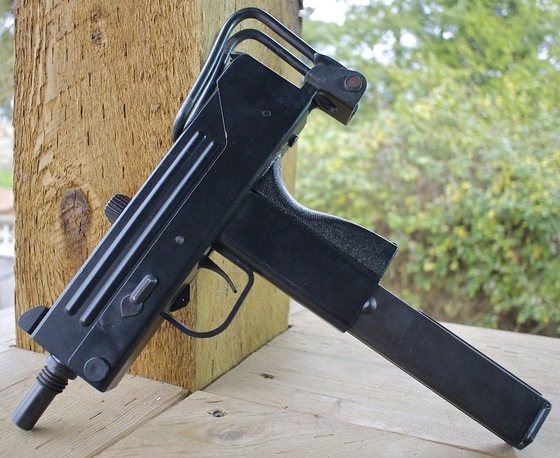 Every so often I come across some interesting guns that people are willing to trade or sell me, if the price is right or the trade involves a gun I can part with, then I go for it and hopefully end up with something I may not be able to get new or that for me is hard to acquire in Canada. My most recent trade added two new guns to the collection, a KSC M11A1 Airsoft Machine Pistol and a Daisy Power Line 2003 .177 Caliber Pellet Pistol. Both of these guns are very hard to get since the KWC Airsoft M11A1 shoots a bit too week for import into Canada, and the Daisy 2003 is no longer in production. 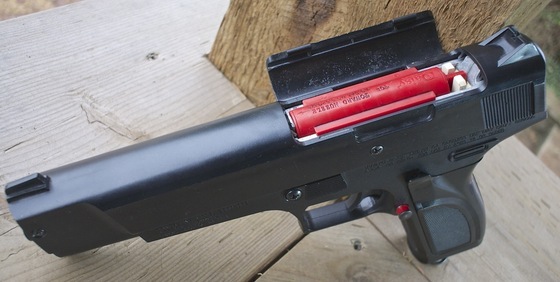 The KSC M11A1 is a 6mm Airsoft pistol that shoots in both semi and full auto using a Gas Blowback open bolt system, it is a replica of the .380 Caliber Cobra RPB Industries M11-A1. Mine came with a mock suppressor and 7 magazines, although not all of them are in working condition. The KSC M11A1 is in working condition but needs a new Hop-up Rubber Bucking which I have on order. The Daisy Power Line 2003 seems to be in really good condition but still needs to be tested, it is one of the only true blowback semi auto pellet pistols I know of, what I mean by this, is it has a true blowback system with a true single action trigger which means it can be converted to full auto which is one of the reason Daisy may have discontinued it. 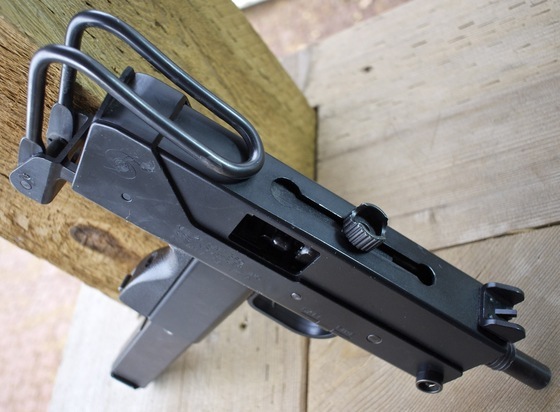 The Daisy Power Line 2003 uses a very interesting 35 round rotational magazine. 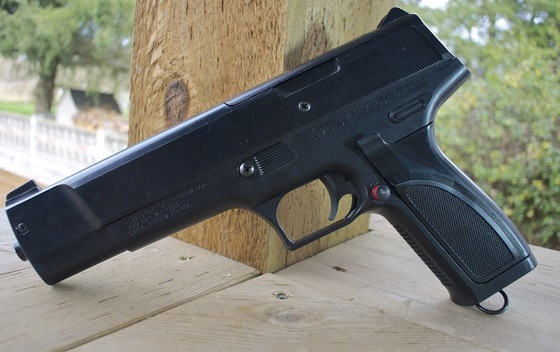 Some say it is loosely styled after a Browning High Power pistol. Stay posted for reviews on both of these pistols down the road.